In a recent Photokina interview with DC.Watch, Canon representative mentioned that they are considering and currently doing the research for the development of an entirely new mount system. In the interview the company's representative also confirmed their future commitment to the current EF-M and EOS M lineups. He says Canon are exploring the possibility of a new mount (distinct from EF, EF-S and EF-M) for a 'new generation' camera system with R&D efforts focussing on a new communication interface between the camera body and lens, new optic design and new sensor design, the goal being to downsize the camera system whilst maintaining an image quality comparable to that of the EF system. He adds that a high image quality will be very difficult to obtain with a smaller sensor since there is a limit on the number of photons that can be captured per unit area. The optimal sensor size shall take into account the need to downsize the system whilst maintaining a quality comparable to that of EOS 6D and 5D Mark III with EF lenses today. Improvements in the photoelectric conversion efficiency (sensor, optical design, image processing) could lead to smaller sensors in the future. Determine the optimal solution for sensor size will be a major R&D theme for Canon. 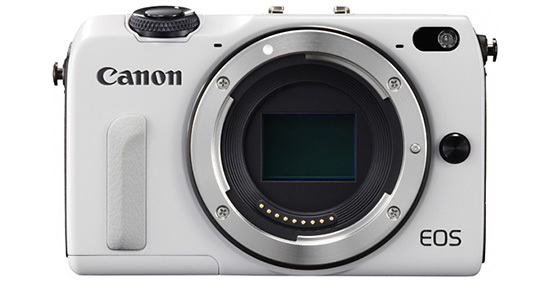 He therefore points at the possibility for Canon to use smaller sensors (smaller than APS-C, the interviewer even makes an explicit reference to µ4/3) and never makes any allusion to a new 24x36 mount, either mirrorless or mirrored.